Love Free Coffee? Stop by Cinnabon on February 15th to grab your Free Coffee! 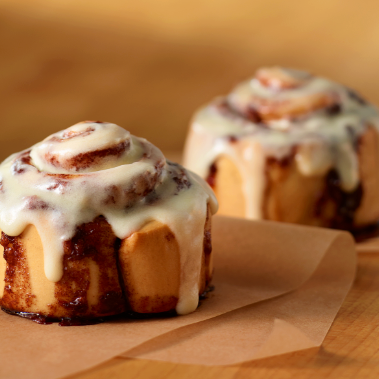 Plus, you can also get a coupon for a Free Minibon Roll at participating bakeries when you join the Club Cinnabon. Just fill out a short form to join the club and they will send the coupon to your inbox within 24 hours. 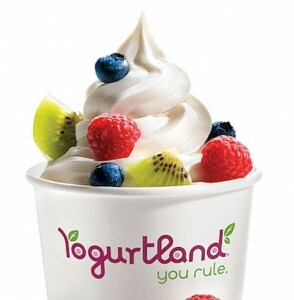 Get one Frozen Yogurt & Toppings for FREE at Yogurtland on February 8th from 4pm-7pm! Find a Yogurtland Location near you. If you grab a free Frozen Yogurt take a picture and post it on our Facebook Page! We would love to see you enjoying your freebie! Are you looking for a simple, easy, and natural way to stop smoking? 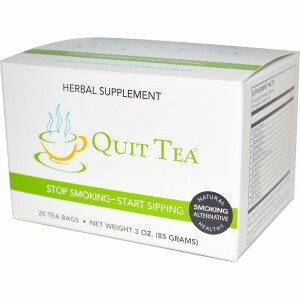 Then request a Free Sample of Quit Tea and try it out. All you have to do is visit their site, fill out a short form and click “Request a Free Sample”. They’ll send you 1 tea bag by mail. Note that this offer is valid in the USA only. Looking to get a little bit in shape? 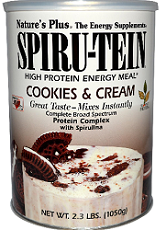 Then get your Free Sample of SPIRU-TEIN High Protein Energy Shake. Simply fill out the form and they will email your coupon for your free sample. Limit one per coupon. From their site: Designed to meet today’s relentless energy demands and give users the steady spark they need to keep going! SPIRU-TEIN GOLD expands the variety of vegetarian proteins to include sprouted brown rice, pea, chia and flax sources for optimal digestibility and complete nutrition. 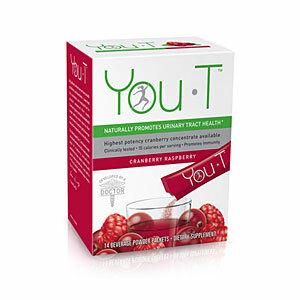 Get a Free Sample of You-T Urinary Tract Health Supplement by visiting their website. Simply fill out the request form to receive your complimentary sample. Limit one per household. They’re giving away 100 free samples every month, hurry while supplies last! Just add You-T to 8-10 oz of water and drink your way to You-T health! 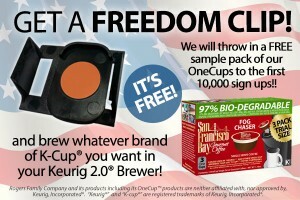 Get Free Freedom Clip for Keurig 2.0 Brewers + Coffee Samples by visiting their website. Just fill out their request form to receive your free Keurig 2.0 DRM Freedom Clip plus a sample pack of San Franscisco Bay Gourmet OneCups Coffee. Only the first 10,000 requests will receive the bonus coffee sampler with their clip. Limit one per household. Hurry while supplies last! From their website: We have developed this easily installed “Freedom Clip” for Keurig 2.0® brewers. Just place the clip in your new brewer and it will see all k-cup type pods as “Authorized K-Cups®” . This clip is our gift to you. Now go forth and brew with freedom. 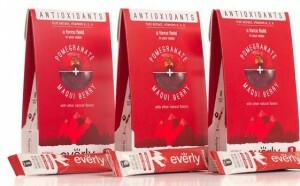 Get Free Sample Everly Drink Mix Packets by visiting their website. Simply fill out the brief request form to receive your complimentary packet of assorted Everly Drink Mixes. Limit one per household. Hurry while supplies last! 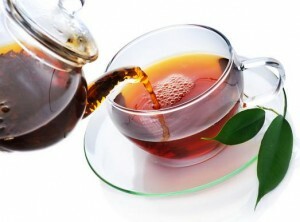 Get Free Sample Rogers Gourmet Tea by visiting their website. Simply subscribe to their mailing list to receive your complimentary tea sample from Rogers Gourmet Coffee & Tea Company. Hurry while supplies last! 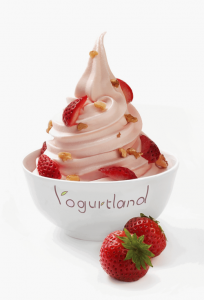 Snag your Free Frozen Yogurt at Yogurtland. To celebrate National Frozen Yogurt Day on February 2, 2015, they are offering guests free yogurt, toppings and a limited-edition of Hershey’s Spoon from 4pm – 7pm at all participating locations. You don’t even need a coupon. Click here for Yogurtland locations. 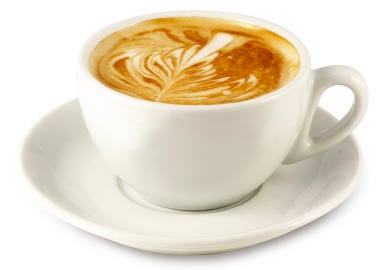 Don’t forget to get your Free Coffee on 9/29, to celebrate National Coffee Day. Here are the different ways you can get your coffee. Krispy Kreme – Participating Krispy Kreme Doughnut Shops are offering customers a Free 12 oz Coffee! If you prefer a Latte, Mocha, or Iced Coffee you can purchase those for just $1.00! Brooklyn Water Bagels. – Free Any Size Hot or Iced Coffee with the purchase of any Menu Item. Mark your calendars for 9/29!